Is the Awesome Power of the Weather Lost on Game Developers? Waking up to find his town enshrouded with thick fog, commenter Nimzy wonders if game developers have fully harnessed the power of the weather in today's Speak Up on Kotaku. I left my house this morning to find my entire town engulfed in fog. It's the first time I've ever had to walk through fog, too—it's cold, clammy, and slightly damp. You can't see very far: trees and buildings loom like ghosts, and people appear as shadowy silhouettes if you can see them at all. 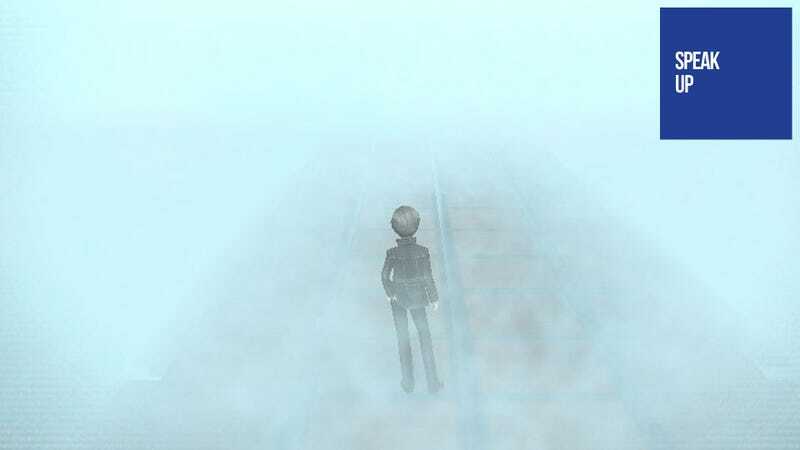 Not having played any of the Silent Hill games, I immediately thought of the world of Persona 4. Now I knew precisely what it was like for the characters to wander lost in the fog of the game. On my way to work, I began wondering if there were any other games where the weather had featured prominently in the telling of the game's story. There's the crucial weather report of Harvest Moon, the hostile blizzard of the Thing, the titular rain of Heavy Rain ... But is that all of them? Are developers forgetting about the importance of weather in games?